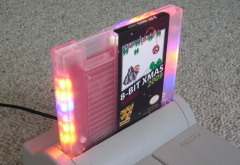 Don't just send a card, send a personalized 8 BIT XMAS 2009 cart! It's that special time of year again, a time we spend with friends and family, a time of rejoice and generosity, a time for sipping eggnog whilst warming our socks in front of a toasty fire, and a time for taking a snowball square in the face from your freckle-faced neighbor, Jeffey. Payback time! 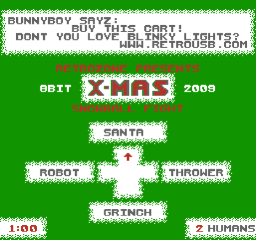 Gather up three of your best (or preferably worst) friends for the newest game by RetroZone, Snowball Fight!! 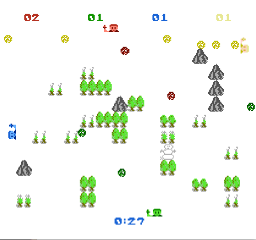 !, a four-player blizzard blast! 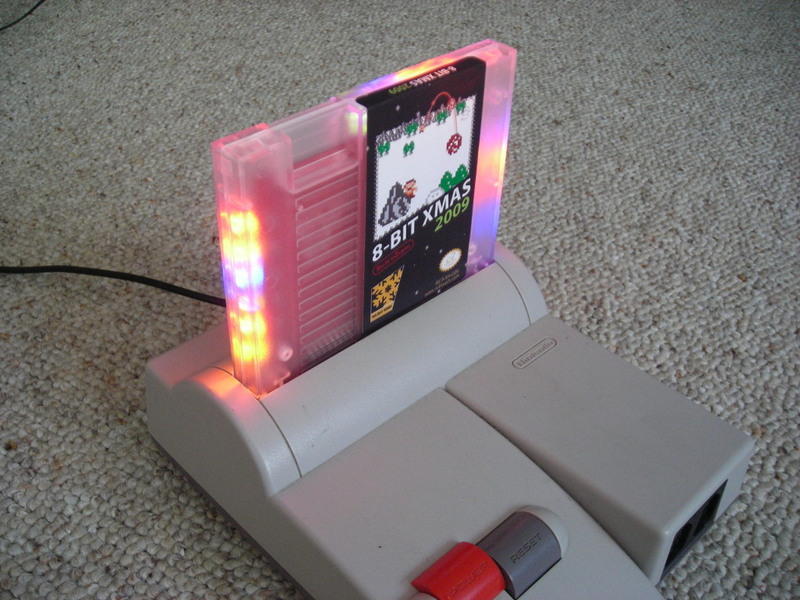 While everyone is drunk on egg nog trip out to the colorful blinky lights that surround the edge of the cart! Top loader recommended to see the pretty colors, but front loader looks cool too. If you just want to play the game, here is a free rom download! This is only required if you ordered your cart with Custom Text. If you did not, your cart will come with a generic Christmas message. Payment and personalized message must be received on or before Dec 15th to ship before Christmas. Delivery by Christmas is not guaranteed. Orders will end on Dec 31st. Email your personalized message to the address in the FAQ. On screen message is 4 rows by 30 characters, only capital letters, numbers, and simple punctuation. There are also two customizable player names, 8 capital letters for each. The printed card will use the same message as the cart. Choose your Bots Fight! 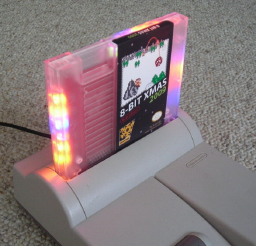 Blinky lights!